Below is an edited version of the interview, which was conducted at the recent Fearless in Fintech conference in New York. Knowledge@Wharton: What is open banking? What are some of the factors that have led to the opening up of banking data to make it shareable via secure APIs [application programming interface]with third parties? There have been some gaps in terms of understanding by the general public about what open banking actually is. If there is a use case for sharing your data, most people understand. “I can use it to share data with my accountant or a budgeting app.” Or, “I don’t have to manually share my data through a statement or [by]writing it down for them.” But the ecosystem around it is still coalescing. There is now so much more competition [to be the]customer’s primary financial institution — even Amazon could be a peer at some point soon. 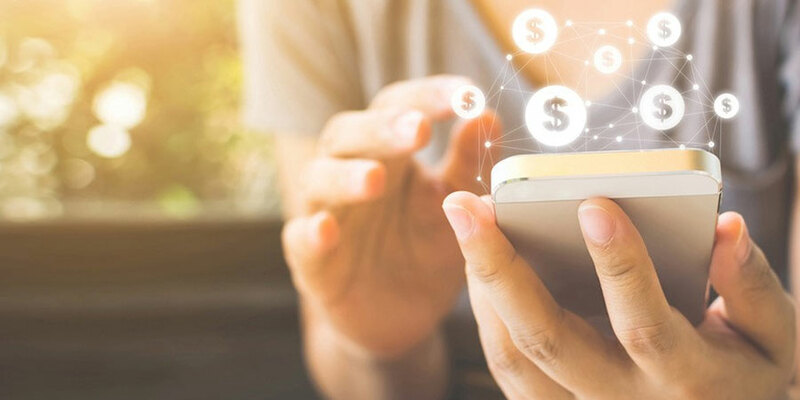 If financial institutions can organize themselves around customer outcomes, they will be able to retain that primary financial institution status. But if they continue to just cross-sell a bunch of products, then it’s going to be [downhill]for them. Barratt: With increased transparency, there is definitely increased risk. There is an expectation that the industry should be able to solve these challenges and risks — because that’s what we’ve been doing. But there is a nefarious element to the financial services industry, and so [the question is]with more open data, is there more chance for more scammers, for example? The answer generally — and in theory — should be no, because the personally identifiable information (PII) is taken out. All I’ve done is to allow someone to have a look at my transactions. That’s not going to track back to me. So, the risk element from privacy and transparency should be reduced. However, there are some very creative scammers out there. From a predatory lending perspective, it could be both a risk and an opportunity. Risk, in that they are creative and moving ahead of the curve. In terms of opportunity, if financial institutions can see there are payments going out on a monthly basis to payday lenders, then as a moral obligation, if you can offer that customer a 15% debt consolidation loan when they’re paying 100%, then why not do that? From a business perspective, it’s money that you weren’t getting before. So there are two sides to the argument. The real headline is that it’s happening anyway, in a less secure way. That’s the problem we’re all looking to solve: How do you get credentials out of the ecosystem, how do you protect people’s personally identifiable data, and then how do you provide a level of service and products that are much more oriented around the whole person, rather than just the niche, the slice that you know about them. Knowledge@Wharton: How do you see the regulation of open banking playing out in the U.S. and globally? Globally, we’re a long way away from seeing a global standard. Even if we could start with a global standard for data format, it would be great. I have had banking experience in six countries, and it is so markedly different in terms of the service level and the products and the reporting. I think the expectation of a global standard around data sharing and open banking is a while away. Knowledge@Wharton: How do you see open banking evolving over the next two to three years? What will be MX’s role in all this? Barratt: With regard to how it will evolve, I think it will be slowly, and then all at once. Already a third of all banking customers are using some sort of external fintech apps, and that’s with a very cobbled-together ecosystem. So, the immediate uptake is probably going to be pretty extreme. You’re going to see the financial institutions pushing it as well. In terms of MX’s role, we are a data platform. We bring together a number of different data sources. But the real value is turning that data into intelligence. We talk with companies who have these massive data links that they can’t make head or tail of. We talk to them about how to make the data usable and what are the functions on top of that data, like identity verification or digital money management apps that we can enable. We talk in terms of actionable data. When you can show someone three different paths to debt reduction with two simple clicks, it’s enormously powerful. At present, we have nearly 30 million North American customers on the platform, and we are working with about 1,800 institutions. We have a huge view of what’s working and what’s not working, and we have a clear insight into what’s being adopted and when and, more importantly, why. And that comes back to the return on investment question. When you can see the value of becoming a primary financial institution, as well as the value to the individual and the improvement of their savings and reduction of debt, that’s what we do this for. Our mission is empowering the will to be financially strong. It’s not about selling more products, because anyone can do that. Data really is the new oil. Unfortunately, it’s being treated as crude at present. Our goal is providing that level of insight and intelligence and engaging with people who are invested in great outcomes for their customers.